All puppies from this litter are in their new homes. 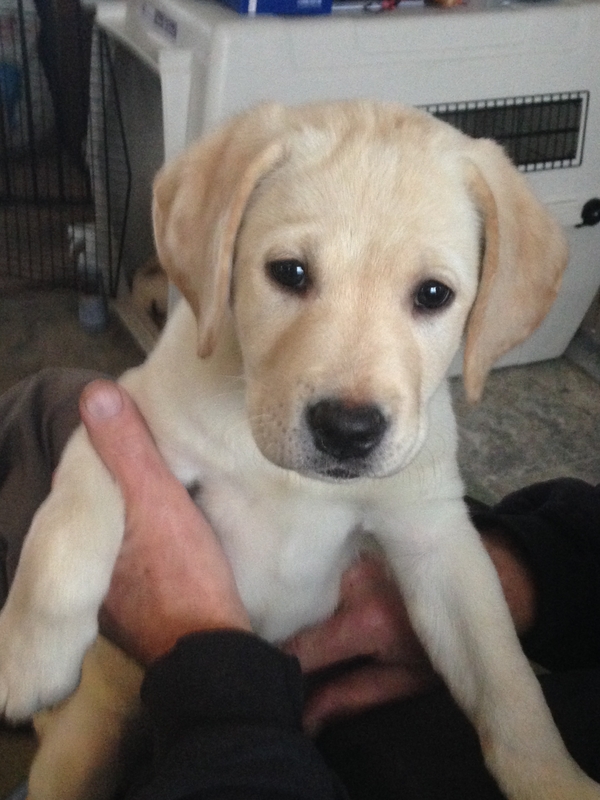 We have one yellow female available. Photo below. Interested persons should submit a Puppy Questionnaire. Healthy litter of 7 puppies born today. 2 black males, 1 yellow male, 1 black female, 3 yellow females. Everyone is doing very well. Photos on the “Puppies” page!! Healthy puppies born June 25, 2017 3 black males, 1 yellow male, 1 black female, 1 yellow female. Molly and puppies are all doing well. Photos are on the “Puppies” page! !